Automatically generate and send one-time or recurring invoices. 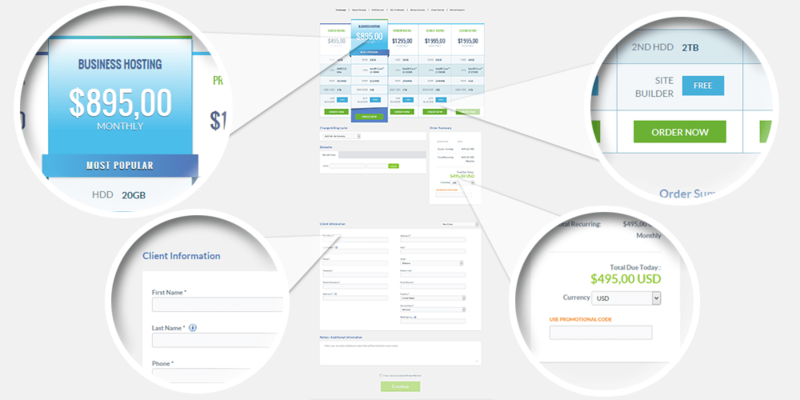 Use multiple billing options and various payment gateways to collect payments. Provision customer resources on control panel automatically. Let HostBill take care of service lifecycle including: suspensions, upgrades and more. 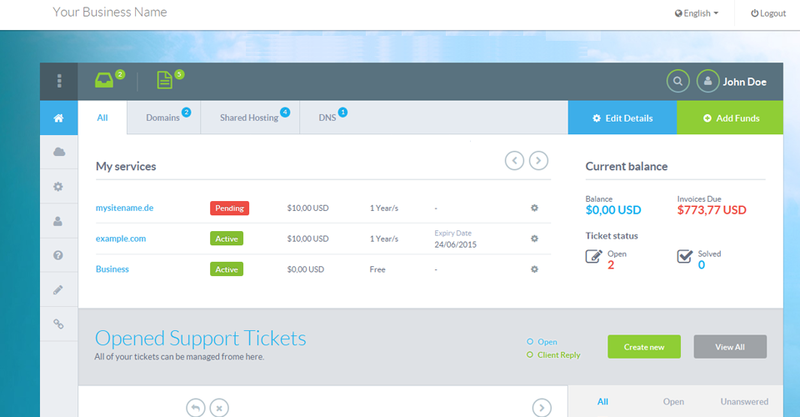 Provide excellent customer service with powerful ticketing system, live chat and numerous support tools. Let your customer manage all vital aspects of services through intuitive and user-friendly client portal. "HostBill provide us with a powerful yet flexible software solution that manages all aspects of our business, without HostBill we would simply not be able to do what we do. Any queries we have on any aspects of the software are answered in a very quick professional and friendly manner which cannot be faulted. HostBill offer a super solution at a fantastic price and we couldn't recommend them enough." "We at Cartika use HostBill to automate our business. Plenty of pre-built integration modules are available, and we can easily build additional integration modules for our various services. A simple, clean and powerful interface to manage all of our services and enable a single pane of glass approach for our customers for all of our services, across all of our facilities. We are satisfied with HostBill support and very much appreciate the weekly code updates and continual feature enhancements. Cartika highly recommends the HostBill platform for service providers of all sizes." "We have had our own customer development software and we were looking for a software solution that could replace our own automated management software. We decided to work together with HostBill and we are very happy that we took this decision. HostBill has a great management and support system and they are always willing to develop new functionalities and modules which is very important for us. Thanks to our cooperation we are able to offer a great management system to our customers." "We offer a wide range of services and HostBill is the only software available that addresses all of our needs. We previously have used modified versions of other billing systems and found that we have to create a lot of work around solutions and custom module development. With HostBill, the vast majority of our needs is covered with the available plugins and only minimal changes were required to suit our unique needs. Our customer experience has been greatly improved because of the tighter integration of services we can provide with HostBill." "HostBill has allowed us to focus on our core business of offering affordable colocation services and hosting. The automate invoicing has yet to fail us and so far everything we use has had top notch integration and excellent support when we needed it."